Thanks for providing this download, it REALLY saved my bacon. 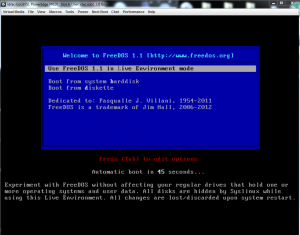 For some reason the latest freedoms only allows an install from disk option. I used this to update a RAID controller firmware and it worked great. Thanks again! 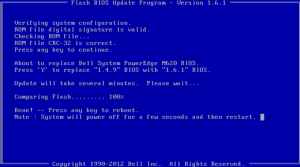 BIOS upgrade tool of SumerMicro (afudosu) can not be execute because too few free memory is available. 320K from 611K. Problem memory allocation. описывается специальный инструмент для этого. Похоже создан разработчиком FD. Hello can i edit this bootable iso so i can add bios update files,but without corrupting iso itself.Sorry if my english is bad i hope you understood me. Yes, You need to use WinISO / Magic iso for this. I had issues with this. No matter what software I use or how I do it it claims to have a corrupt kernel. Any ideas? 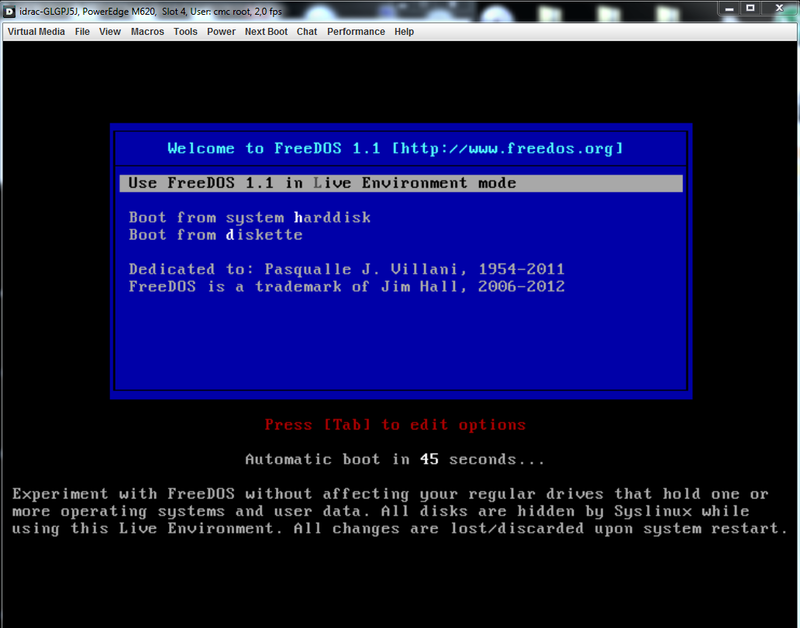 Is there a way to point to a batch file instead of going to e:\Freedos? I want it to go to the dos environment and then run a bios update script automatically. I was having difficulty locating a bootable DOS ISO in order to flash the latest BIOS version onto my motherboard. This helped. Thanks for sharing this! Thank you for the guidance – successfully updated the BIOS on MSI – 7376 Platinum motherboard, running Linux Operating Systems. Most grateful! This is nice and all, but it would be more helpful if you explained how to make the notable image. my dell won’t post. it goes to the dell splash screen and then goes to a black screen. It’s like it has no bios at all. The color of the light is complete orange which doesn’t blink at all. If I push the buttons for diagnostics it says “diagnostics starting” but then goes no further, just black screen. Is this dell beyond repair and could it even boot this iso given that it doesn’t seem to have a bios to begin with? Worked like a charm. Saved me a LOT of trouble getting my ASUS BIOS back in working order after some sudden mysterious boot problems. I am using Supermicr server and i am trying to upgrade BIOS . Bad command or filename – “AFUDOS.EXE”. 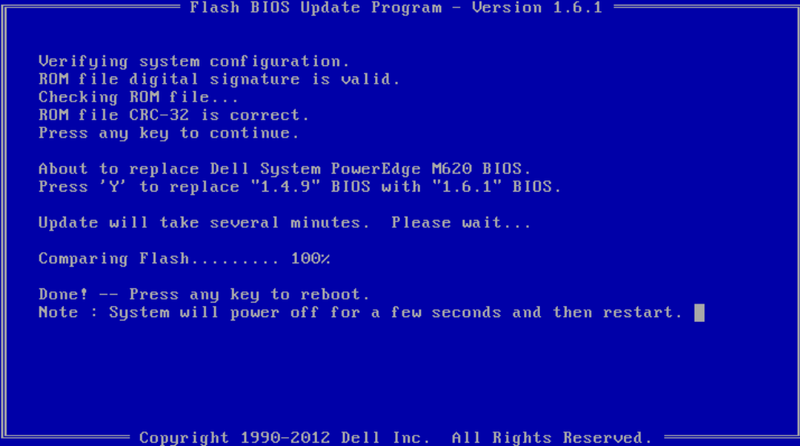 BIOS updater script AMI.BAT wants to be smart, and it renames AFUDOS.SMC to AFUDOS.EXE, runs it, then renames it back. Which means that it’s not usable from read-only media.